It's not the real world… it's Beltway. Before he knows what hit him, regular guy Clement Green has fallen down the rabbit hole and finds himself in Beltway, the nation's capitol as you've never seen or imagined it before. Sworn in as freshman Copulant from the great state of Bucolia, Clem is soon up to his hips in handlers, red ink, bureau-rats, invisible committees pushing mysterious trillion dollar legislation, indigestible publicity stunts, and high-flying political intrigue revolving around a Kixass billionaire… and a celebrated spotted cow. 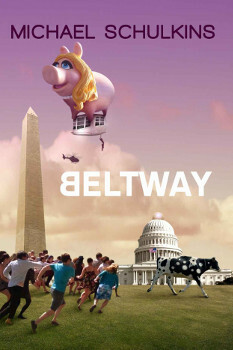 Jump down the rabbit hole into Beltway - you'll never look at government the same way again.